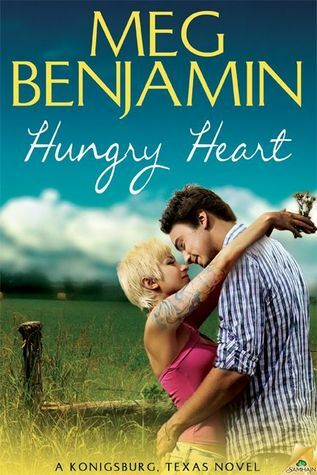 Hungry Heart proves that hot romance goes nicely with hot sauce. Darcy, the sous chef at the Rose, and the King with his barbecue business practically leapt off the page from the first scene on. The tension between them was palpable, not just because of their personalities, but also because of their professional competitiveness. While I was instantly drawn in by the chemistry between Harris and Darcy, it took me a while to really feel anything for Andy and Chico. They were perhaps both a bit too passive and I didn’t feel any passion between them until late into the novel. Especially compared to the internal conflict that Darcy faces throughout the story, the other characters seem almost bland. But eventually, even Chico and Andy grew on me. The descriptions of the Texas barbecue culture felt very authentic and they gave a special charm to the story since they were a convincing background to the romance. The rivalry and professional envy only raised the stakes for the protagonists and added to the conflicts and tension in the novel. Although the pacing of the story was good, I was a little bothered by the fact that the two love stories developed almost identically. Given the very different personalities of the heroes and heroines, I’d have expected very different dynamics between them. Instead, they develop similarly, with the same pace. I believe a different pacing for the two couples would have enriched the plot, particularly in terms of a more diverse rhythm. I thought the resolution was done nicely, giving Darcy a happy ending that doesn’t jeopardize her career plans. Introduction to the barbecue culture is not all that Hungry Heart offers. It serves the reader with a nice portion of romance and love, which makes it a perfect summer read.